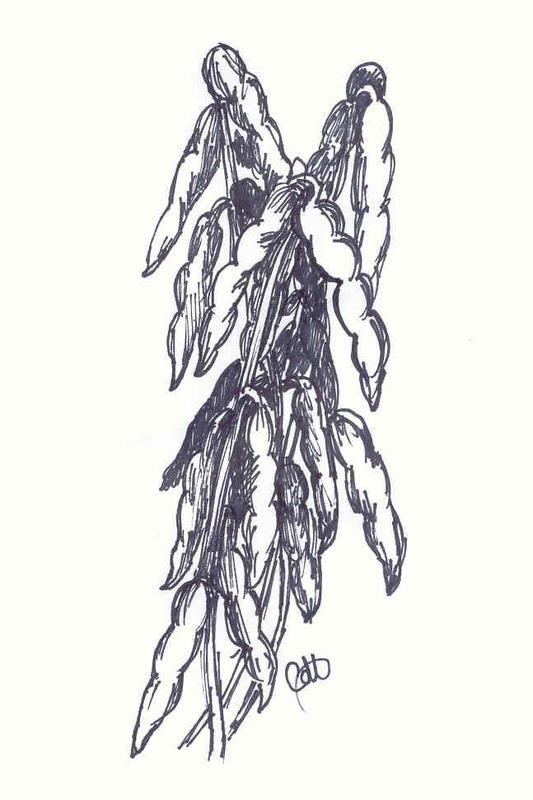 A bushy plant, of the legume family, grown in the U.S., chiefly for forage and soil improvement. 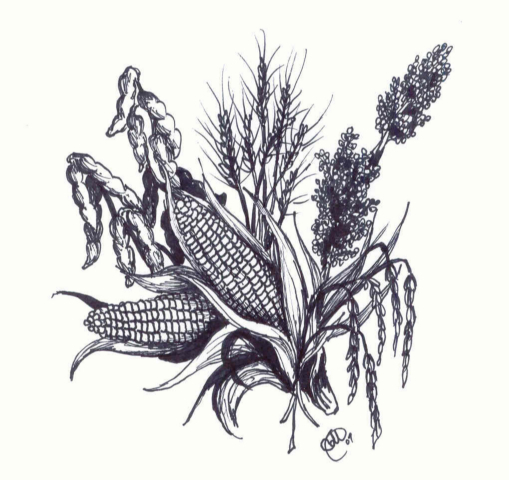 The seed of this plant, used for food, as a livestock feed, and for a variety of other commercial uses. More soybeans are grown in the United States than anywhere else in the world. As early as 5,000 years ago, farmers in China grew soybeans. In 1804, a Yankee clipper ship brought soybeans to the U.S. When leaving China, sailors loaded the ship with soybeans as an inexpensive ballast. When they arrived in the U.S. they dumped the soybeans to make room for cargo. In 1829, U.S. farmers first grew soybeans. They raised a variety for soy sauce. During the Civil War, soldiers used soybeans as "coffee berries" to brew "coffee" when real coffee was scarce. n the late 1800s significant numbers of farmers began to grow soybeans as a forage for cattle. In 1904, at the Tuskegee Institute in Alabama., George Washington Carver began studying the soybean. His discoveries changed the way people thought about the soybean; no longer was it just a forage crop. Now its beans provided valuable protein and oil. By 1929, U.S. soybean production had grown to 9 million bushels. That year, soybean pioneer William J. "Bill" Morse left on a two-year odyssey to China during which he gathered more than 10,000 soybean varieties for U.S. researchers to study. By 1940, the U.S. soybean crop had grown to 78 million bushels harvested on 5 million acres, and the United States was a net exporter of soybeans and soybean products. That year, Henry Ford took an ax to a car trunk made with soybean plastic to demonstrate its durability. The publicity increased the soybean's popularity. Today, farmers across the U.S. grow soybeans that have been harvested into yields of about 2 billion bushes a year. Check back to see 2012 crop photos and watch our crops grow with us!! !